Oooh, Shinies! : Testing out Incense Burner! 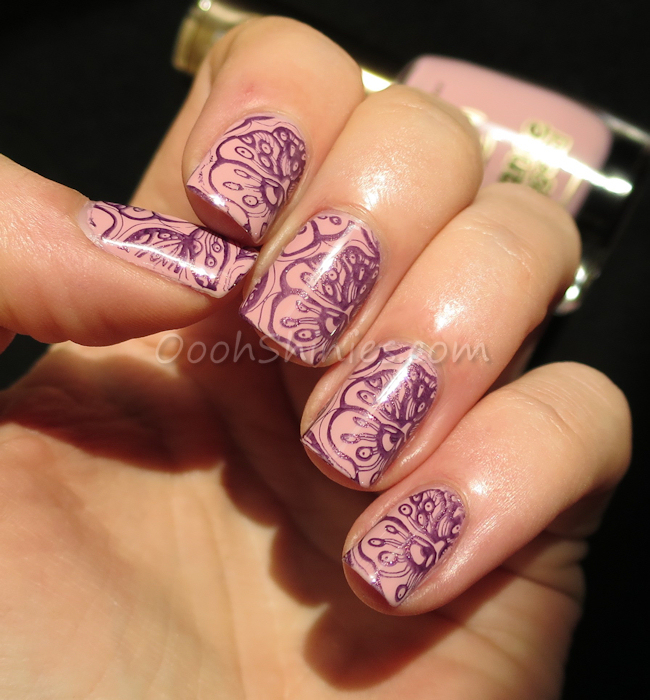 As I said in my Rossetti's Goddess post, the whole collection works for stamping! But Incense Burner was the polish that I had most doubts about, since it was a bit sheer on the first coat and really needed that 2nd coat for full coverage. 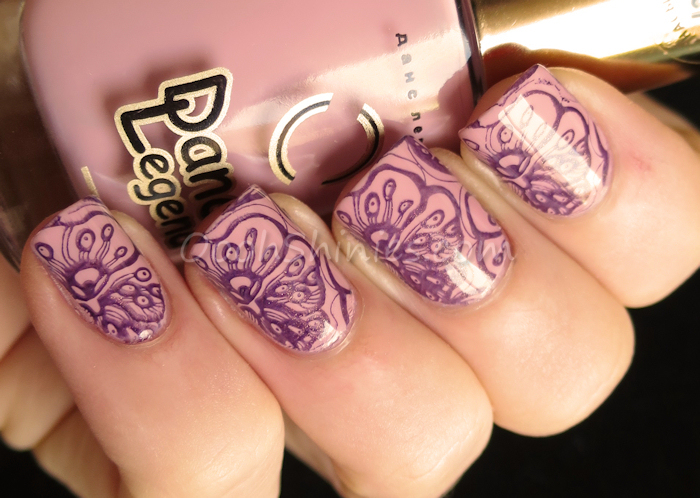 And yes, it's a little sheer for stamping, but with the right undies and image, it's no problem! If you look at the color difference between my middlefinger and ringfinger, you can probably tell that Incense Burner is a bit sheer for stamping. But my nails are tiny compared to these photos, so none would notice that irl! And yes, once again I used this Dance Legend as base, I simply love that polish :D In short, happy with the plate, happy with these polishes! Dance Legend #1035 with A England Incense Burner and Messy Mansion MM46. UberChic Beauty plate collection 3!